If you are an eligible veteran or military service member who is looking at purchasing a home in New York State – VA loan is the ticket! VA loans in New York, which are made possible and insured by the U.S. Department of Veterans Affairs, are popular low money down mortgages offered by Artisan Mortgage. In addition, VA mortgages in New York are often easier to qualify for than conventional loans, and should rates drop to where it would make sense to refinance, a streamlined refinance keeps the process simple and cost effective in many cases. When we first meet with a potential VA eligible client, we instruct them to get their certificate of eligibility from VA, which outlines the entitlement that the client is eligible for. With that in place we can determine maximum loan calculations and other detailed items. Fill out the quote form to the right for a custom mortgage quote, prequalify for a home loan or call us with all of your questions at 800-499-0141. A qualified, home loan specialist is standing by to help you with your mortgage. VA loan is a great home loan product in New York for an eligible veteran or surviving spouse. We know how valuable your time and money are, especially when choosing a New York mortgage broker to help with your borrowing needs. That’s why our mortgage company offers a dedicated team of experts and individual attention, coupled with excellent home loans and years of experience. First time home buyers can take advantage of low NY mortgage rates, and we can also assist those interested in refinancing. We have several different low-interest mortgage options that may be perfect for your home financing needs. A 20-year fixed-rate mortgage offers a long duration at 240 months. It also has the potential for low monthly payments due to the long duration of the loan. They also offer the ability to pay off a home loan more quickly than with the traditional 30-year fixed-rate mortgage. 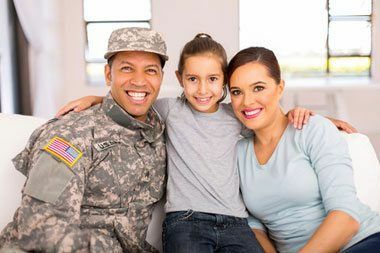 VA loans are mortgages made by banks but guaranteed by the Department of Veterans Affairs (Veterans Administration) www.benefits.va.gov. New job! New city? New mortgage? You can get here from there by letting our mortgage company take care of everything to get you financially settled. We pride ourselves on processing loan applications quickly and always being available to answer your questions. Many loans can be credit approved at application. Our pre-approval process will save you time and effort. Do you Qualify for a New York VA Loan? Don’t be confused by VA mortgage requirements or certificate of eligibility – give us a call at 800-499-0141 today to determine if you qualify for a VA loan in New York and get the facts from a premier NY mortgage company.